Are you looking for a simple chip dip to take to your next get-together? 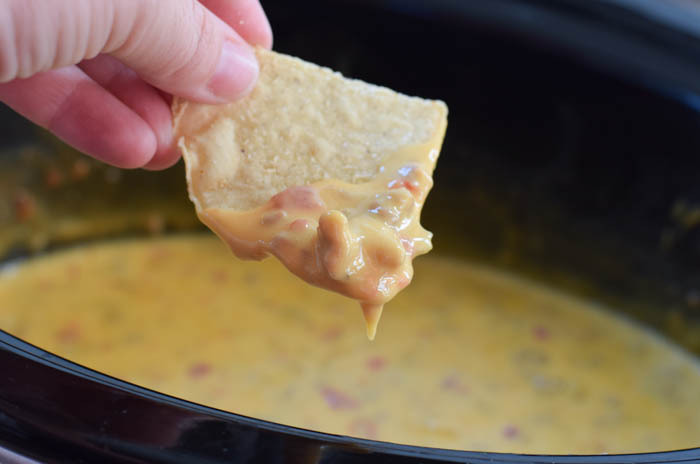 With only a few ingredients and a little time in the crock pot, this Crock Pot Sausage Cheese Dip is an easy dish to take to any carry-in, party, or tailgate. It couldn't be easier to throw together, grab a bag of tortilla chips, and there you have it! Plus it's always a crowd pleaser! Make up a batch of this and you'll always bring your crock pot back home empty! It's a great appetizer or goes along with any other foods at a pot luck meal. 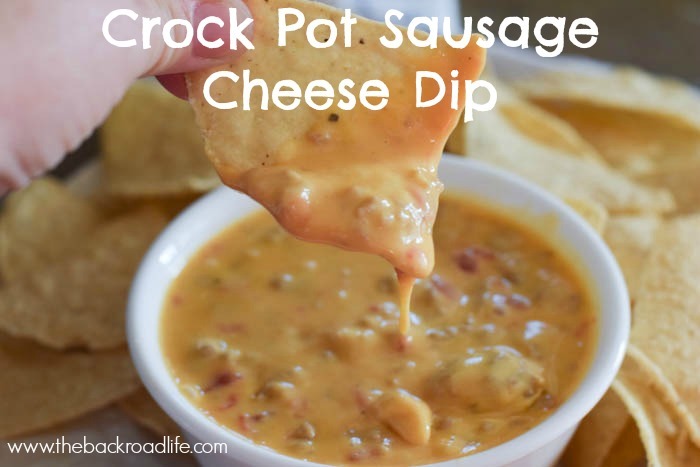 Velveeta cheese, ground sausage, and a can of Rotel with green chilis make up this easy party favorite. 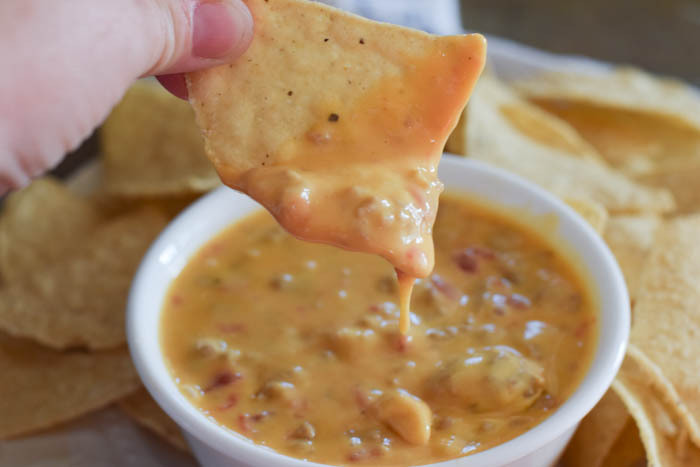 Paired with your favorite tortilla chips and you're ready to go. After a few hours in the crock pot and some stirs in between, the dip will be nice and melted. It makes for a perfect side dish or appetizer for any summer cookout, family reunion, or tailgate parties. 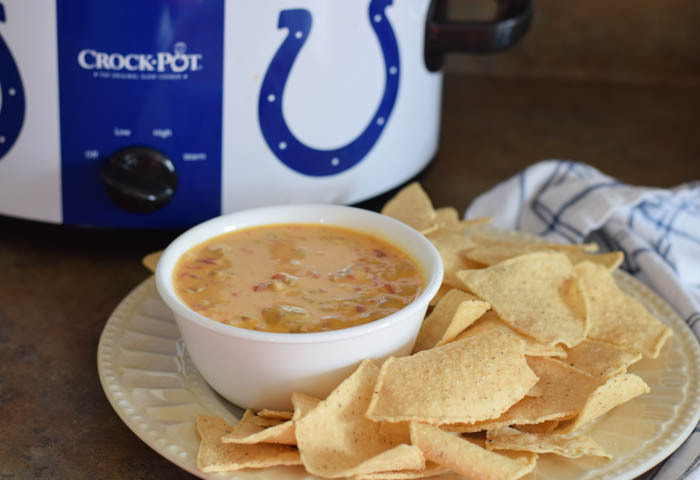 I love making meals and side dishes in my Indianapolis Colts Crock Pot! 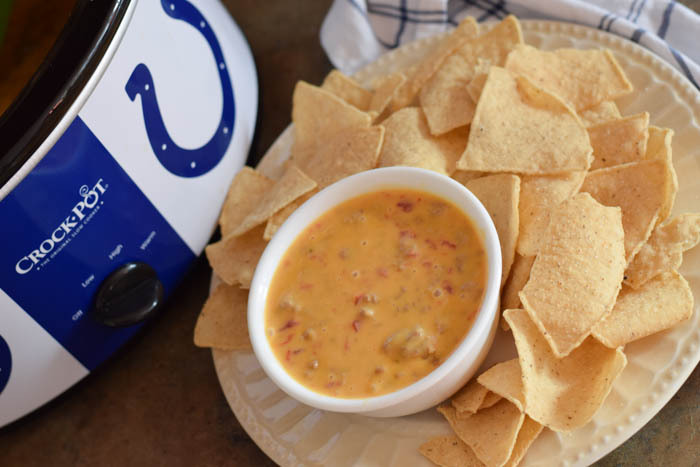 Cheer on a favorite football team as well as make great meals. Fall harvest is happening during football season. I help my dad and brother with fall harvest by running the auger cart. A lot of thinking can be done while running the auger cart during harvest and meal planning and recipe brainstorming always gets done during this time. 1. Combine all the ingredients in a slow cooker and mix them together. 2. Cook on low for 2 to 3 hours, occasionally stir the mixture until smooth and prevent burning. 3. Ready to serve with tortilla chips.